Imagine you’re doing dishes, and you notice some speckles of something gold-colored while you’re rinsing dishes using tap water. The speckles look like gold flakes. After testing, it is confirmed that they are, in fact, gold flakes. That really happened in Whitehall, Montana to Mark and Sharon Brown in 2014! Here is a YouTube video about the incident a description. Has this ever happened to you? 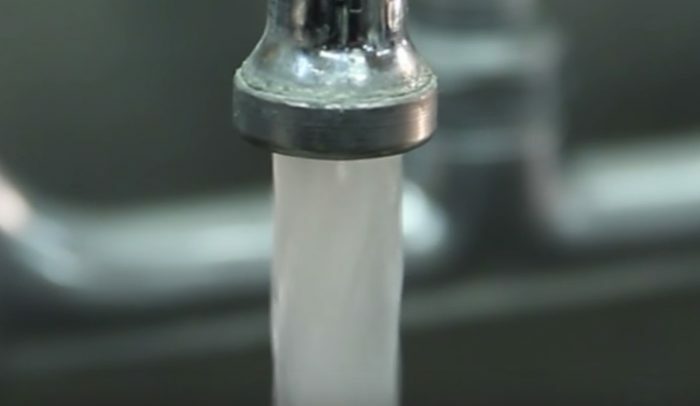 Pure gold has started coming out the faucet in sprinkled in with tap water in homes of Whitehall, Montana. Mark Brown and Sharon Brown Whitehall, Montana were putting away the dishes from their dishwasher when they noticed something odd speckled on the dishes. Not only were the speckles gold colored..but they even glimmered like actual gold. Even their neighbors started finding speckles of gold in their water. The gold was tested and proven to, indeed, be real. In the 1980, a gold mine was opened about five miles away from the town. Strangely, though, the residents of the town get their water from two wells in the middle of the town….far away from the mine. Perhaps the mine somehow struck gold? Despite this, residents seem to worry moreso that if heavy metals that are big enough to be visible are able to come out of their faucet…what else could be in there too? How is their water actually being filtered? Officials believe the gold could have come from pipes or pumps tied to the water supply of the town. I’m no plumber, but I’m not sure how “gold” leaks through pipes or into a pump unless there’s a HUGE break in the system somewhere and that break is surrounded by tons of gold…and that seems like a very rare scenario. If I lived in Whitehouse, I’d just let the water run non stop and filter all the specs of gold….I’m sure I’d make enough money to pay for the inconvenience of drinking or showering with bottled water. No one really knows why this is happening…but until this mystery is solved I think I may take a trip to Whitehall with some buckets and filters.